The plan by URBED was commissioned by East Cambridgeshire District Council and sponsored by Cambridgeshire Horizons and Cambridgeshire County Council. It is based on consultations with property owners and community groups, an extensive audit of the infrastructure by engineers and transport planners Gifford, and on best practice approaches from the UK and European continent to developing houses in a landscape setting. SQW advised on the feasibility of increasing the numbers of residents able to work locally. The report sets out the arguments for smarter growth, making the most of Elys good rail links and attractive riverside, to realise a vision of a 21st century Garden City, within a much richer natural setting, and with a better balance between living, working and recreation. Recent planning applications for large retail units have brought to the fore the need to develop an overview of the needs of Elys future development. 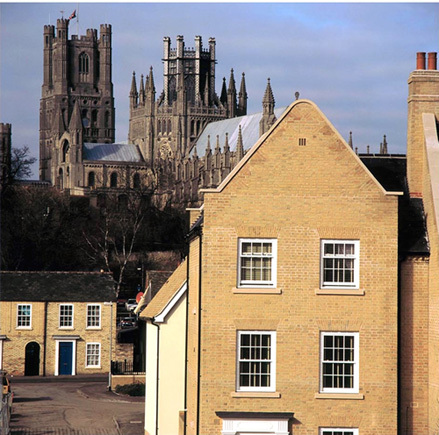 Our response has been to commission a Masterplan for Ely, a clear, comprehensive and coherent view of the future based upon our desire to produce a place that will be much more self-sufficient. Too often in Britain we have not only neglected smaller towns, but also failed to grow the places where people most want to live and work. A top priority for Ely is rescuing the heart of the city from traffic, which depends on building the Southern Link Road. Ely could lead the way in using new housing to help fund badly needed infrastructure. Following a six week consultation period, the comments received will be analysed and considered, and a final report will be published later this year. The consultation report and its six technical appendices can be accessed on www.eastcambs.gov.uk. Funds have already been allocated for following up a number of key projects.